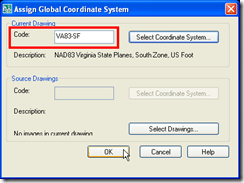 Using the "Map Classic" workspace, go to Map > Tools > Assign Global Coordinate System. From here we’re going to assign the datum to translate your existing drawing to. With my coordinate system set, I will now open the Map Task Pane. If it is not already open, you can use the MAPWSPACE command to turn it on. 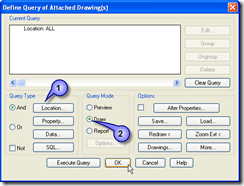 From the "Map Explorer" tab Right-Click on "Drawings" and select "Attach"
The resulting dialog will allow you to browse to your original drawing in the other coordinate system. Once you have found the drawing you with to convert, select it and press the [Add] button. With our drawing attached, we can now go about configuring a query. 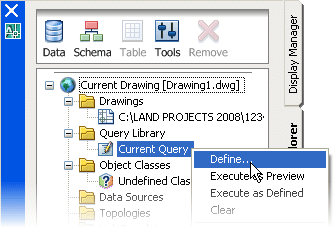 To do this right-click "Current Query" from the Map Explorer Map Task Pane, and select "Define". 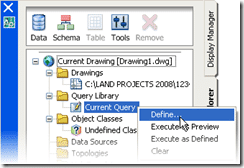 From the resulting Define Query dialog, click the [Location] button under "Query Type", and then [Ok] to accept the "All" Boundary Type. What this means if we’re going to query the original drawing in its entirety. 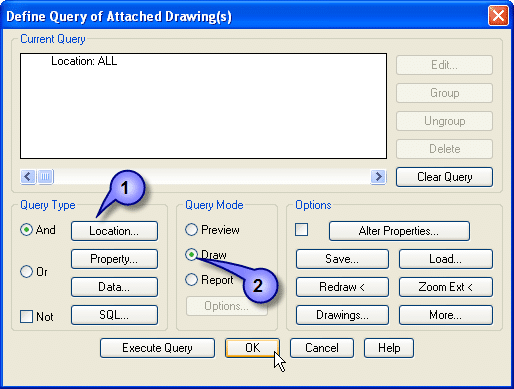 With the "Query Type" defined, select "Draw" as the "Query Mode"
After defining the query, press the [Execute Query] button. Once AutoCAD Map 3D finishes processing, do a Zoom Extents and you should see your translated drawing. It’s worth mentioning that some LDT/Civil 3D objects don’t like being moved like this. I have run into issues with AeccPoints, as well as Civil 3D Parcels. Civil 3D Parcels for instance refuse to move away from where they were first defined. In such cases your only real option is to explode the parcels, perform the translation, and then redefine the parcels using Civil 3D. Do this work with point clouds and surfaces? 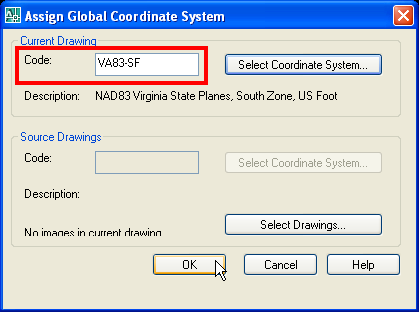 I have some drawings in local coordinates system, so now I need to convert it to WGS84 system. How can I do it? i have some cad drawings with narhwan coordinates system, i need to convert that to wgs 1984 system. How can i do it . Am using Autocad 2007. I have a field survey and a set of contours in different coordinate systems and I am trying to bring them in together. I have tried the method above several times but it doesnt seem to work. It still places my survey in a different position from my contours. Do you have any suggestions?